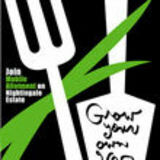 Floriography is a means of communication whereby flowers are used to communicate messages. This symbolic language has a long history but it is perhaps most associated with the Victorian era when the flowers were used to express thoughts and messages without words. Using floral dictionaries it was common for people to exchange "tussie­ mussies", small bouquets which could be worn as a fashion accessory. The publication of The Language of Flowers by Kate Greenaway in 1884 provided a handy way of quickly referencing plants and their meaning. The language of flowers also found its way into literature and art, bringing a symbolic subtext to the work. In Hamlet, Ophelia mentions and explains the symbolic meaning of pansies, rosemary, fennel, columbine, rue, daisy, and violets. Whilst Millais' Ophelia is the subject of academic studies of the flowers in the painting and their meaning. When Avant­Gardening was invited to join the Watts at Dusk event we wanted to explore this old tradition and invite visitors to consider the meanings of the flowers and to take and share plants and seeds from our collection of native wildflowers. 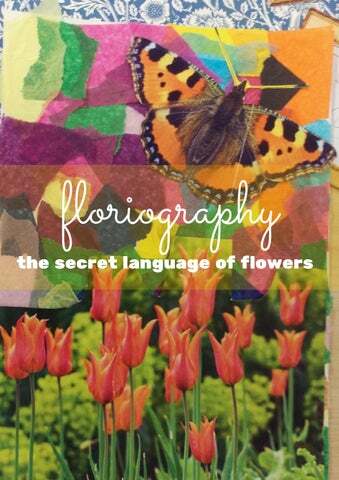 Visitors shared their messages with us and helped to design this fanzine exploring the secret language of flowers. We hope that it inspires you to start an exploration of this beautiful secret language. A fanzine created as part of Watts at Dusk at the Watts Studio.